Today’s BONUS: Kinsley and I are back at it on our podcast Dos Marcos talking about the break-up with Mattress Firm and Tempur-Sealy. What are the downsides/upsides for both, and what comes next? We also talk about Bob Sherman and what he is up to with Restonic so jump on the treadmill, plug in some earphones, and let us keep you company for a little while. LISTEN HERE! When you are in the presences of greatness you just know it and my recent trip to southern Florida dropped me right in the middle of it. I took a trip down south to see my friend Tim Riezinger and visit the market and what I found was totally unexpected. Later, Tim took me into the home office. Tim has known these people for 20 something years and the way he talked about them on the ride out there made it sound like they were his extended family. Once we arrived I understood why. First I met Ela and Shirley who I swear, after 10 minutes of talking to them I felt like I knew them my entire life. Do you know people like that? Then I met Alfredo Lopez one of the top dogs and the main mattress mogul who was incredibly gracious. Then there was Luis, one of the 7 brothers and the CEO. Luis’ father Manuel was the son of a furniture merchant, Simon Capo, in Cuba during the Castro regime. Their family business was taken away from them by the government so Manuel fled Cuba with two of his sons Luis and Carlos on a 24-foot wooden fishing boat named “El Dorado”. They eventually made their way to Florida where they started their first store and later expanded with a $10,000 loan from the Small Business Administration. Today they are the largest Hispanic-owned furniture retail enterprise in the United States with 12 stores and 2 outlet centers. I was very grateful to Manuel for spending some of his time with me sharing his family story. Actually, I was grateful to them all. It’s hard for me to put into words but these guys are different. I don’t just mean in the way they do business, I mean in the way that they treat people. Getting to see what they have built up close and connecting with them on a personal level, it is clear to me why they have accomplished this level of success. From Casa Capo, their grandfathers first furniture business to the incredible company they have today, these guys have the secret formula. Truth be told there is no secret. When I first met Pedro, one of the 7 Capo brothers and heard him speak at a Furniture Today event, he told a story about how all the brothers had lunch once a week with someone in the company so that they could listen to them and understand how to improve the business from their perspective. Are you doing anything similar in your company? 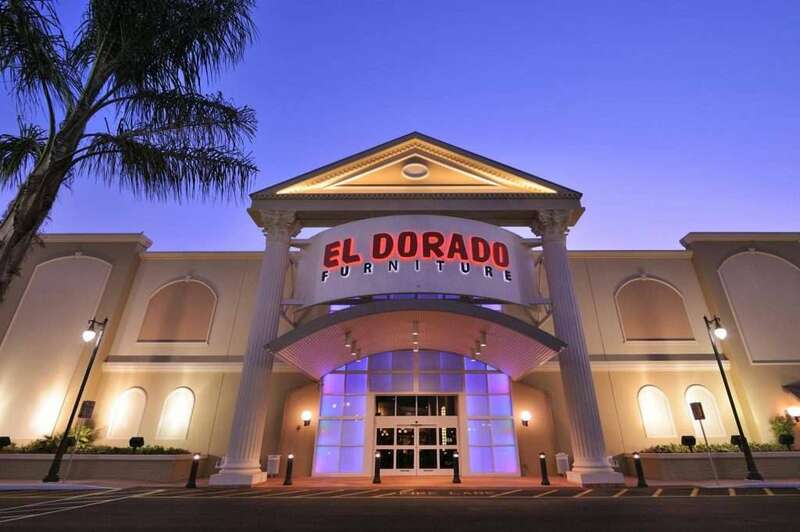 Stir that in with their mission statement; “We, the people of El Dorado will do everything humanly possible to WOW all of our Customers, Always.” If you aim that high how can you go wrong? Add this visit together with my recent trip to Jordans Furniture and I feel like I am getting exposed to the best of the best and learning a lot in the process. I should have made these trips a long time ago. For any of you struggling out there, consider that these guys had their family business taken from them, and then navigated some treacherous water (literally), in a fishing boat to escape a communist dictator. Any of you have business problems like that? You can persevere! Many thanks to my new friends at El Dorado. I appreciate what you do, how you do it, and the way you make people feel. I will be back! Manuel Capo is the American Dream! May God Bless his business and his family! Thanks Mark for sharing this inspirational story. This man had his business stolen away from him by a Communist Dictator and went to a strange new country and built a bigger and better business. Manuel is my hero!